Imagine your best dreams: being famous, successful, attractive. Imagine your worst nightmare. You become all those things then your world falls apart. You are a celebrity. You are successful. People love you. You have just woken up in a lunatic asylum. Nobody loves you, you are mad, you are trapped. And worse, the horror is only just beginning. 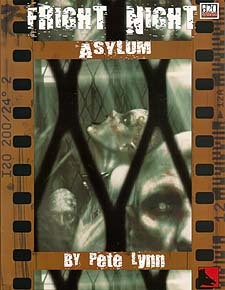 Welcome to Fright Night: Asylum a tale of terror, confinement and madness. So, any madness in you?